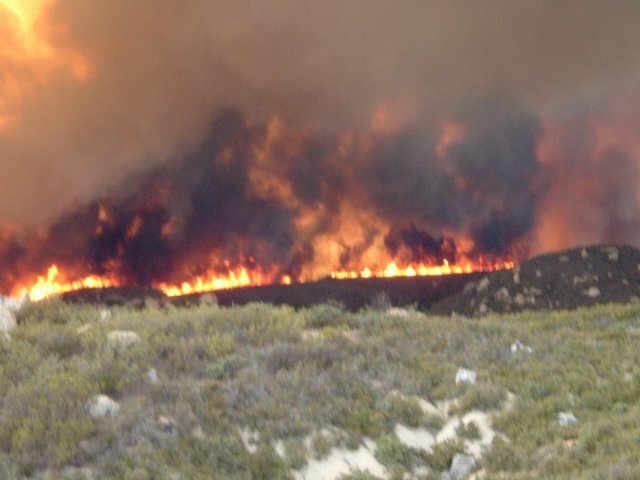 A wildfire began near Sage Road Saturday afternoon at around 2:47pm, July 17th, in the upper elevations of the Temecula Wine Country east of the Oak Glen area, near Sage. News reports were calling it the Melton Fire. 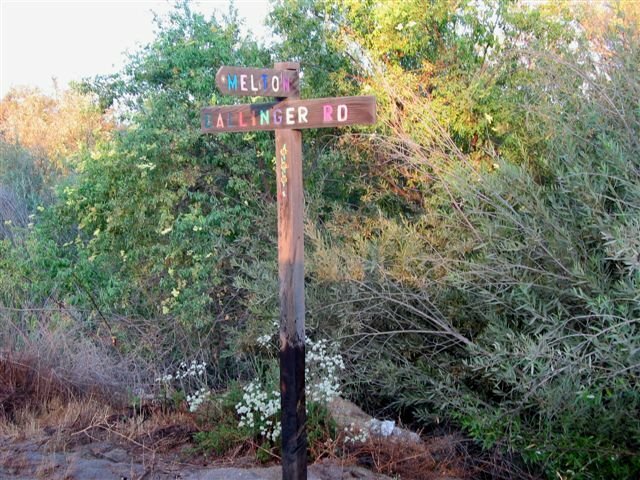 A report by Michael Mojarro indicates thousands of acres and several structures were burned. 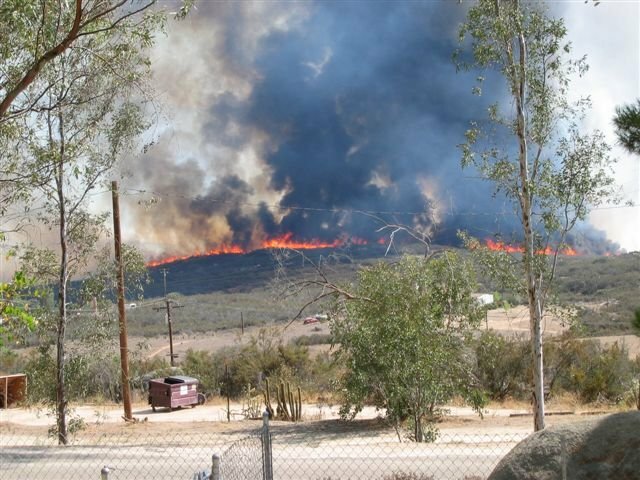 Mandatory evacuations took place on Saturday out near Sage in the Red Canyon and Red Mountain areas; the evacuation center was Hemet High School. 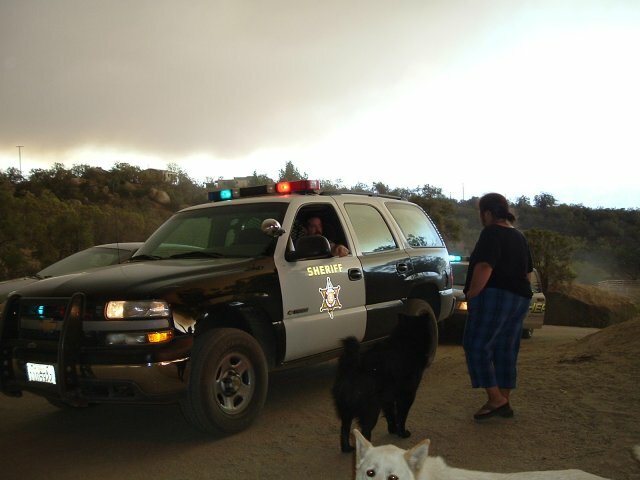 A reported 700 homes have been evacuated and the fire was only 10% contained as of Saturday evening. 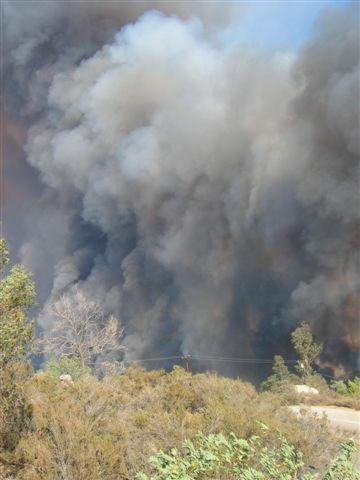 The Californian reported that 423 firefighters were battling the blaze. 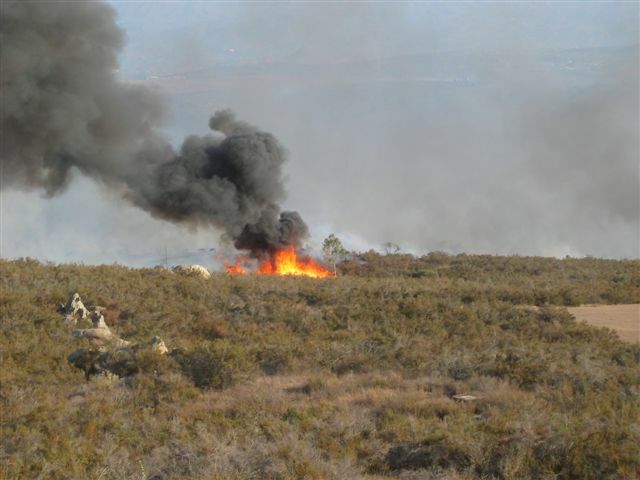 The fire apparently started as a result of a San Diego man taking target practice into some brush near the town of Sage. The man has been cited and may have to pay some of the $1.1 million cost to fight the wildfire. 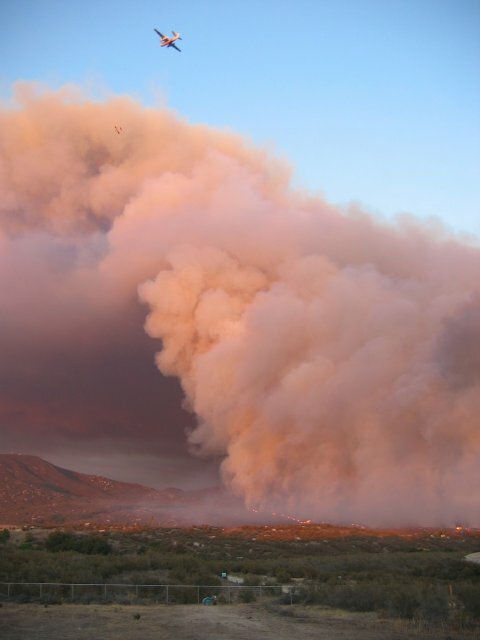 The fire was clearly visible from eastern view areas of Temecula on Saturday evening. 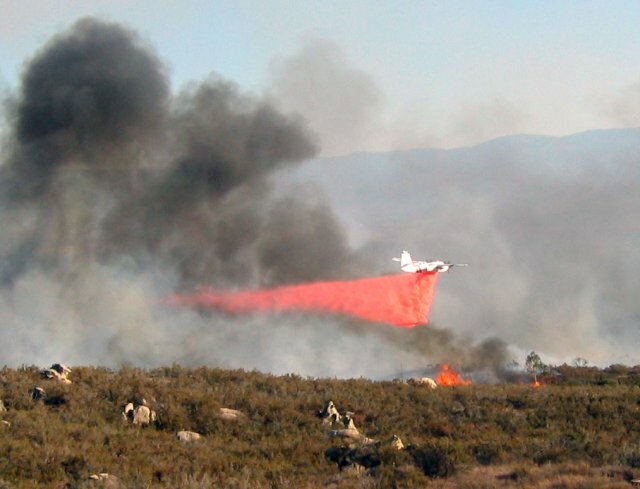 After two wildfires in the last year, the Mountain Fire in the northeastern Temecula Valley, and the Eagle Fire in the southeastern part of the valley, this wildfire won't have much fuel to burn towards the west and should stay far east of the Temecula city limits and the more populated portions of the Temecula Wine Country. 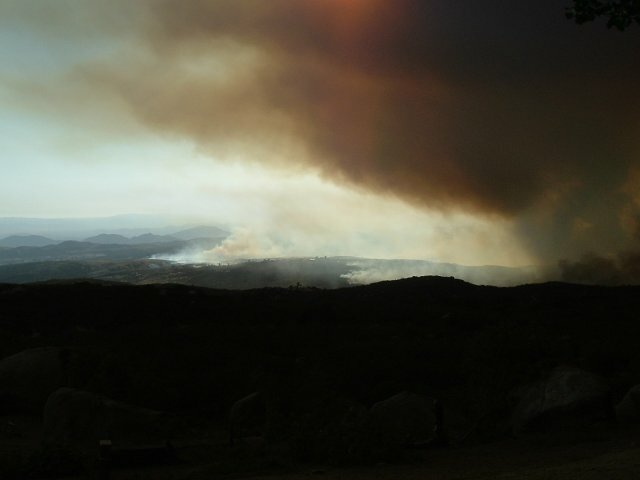 Sunday afternoon, the fire was reported to be about 3,219 acres in size and 20% contained. Mandatory evacuation orders for 2,000 residents have been lifted and firefighters appear to be gaining the upper hand. Six mobile homes, nine vehicles and twelve outbuildings have been reported damaged by the fire. 740 firefighters were battling the blaze on Sunday. The blaze had grown to 3,600 acres on Sunday evening, according to reports Monday. Firefighters have reported 50% containment, mostly due to cool, calm night weather. The Melton fire was expected to be extinguished on Tuesday, July 20th. 3,667 acres were burned. 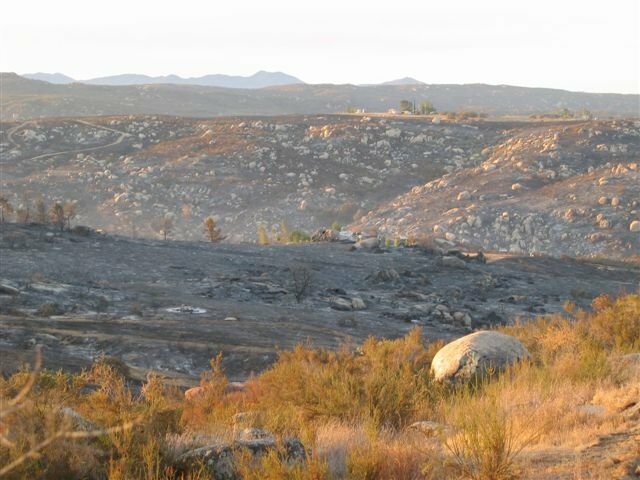 Once again, the fire was located north of Aguanga and a little south of Hemet, and about 12 miles east and north of the Temecula city limits (and well east of Murrieta as well), near the town of Sage. Pictures were contributed by Michael Mojarro and Robert Leonard. The video was contributed by Michael Mojarro. The Californian has published a story on the Melton Fire. A Sunday story by the San Diego Union Tribune contains a detailed update. See a list of all past weather happenings in the Temecula Valley over the past several years on the Features page. 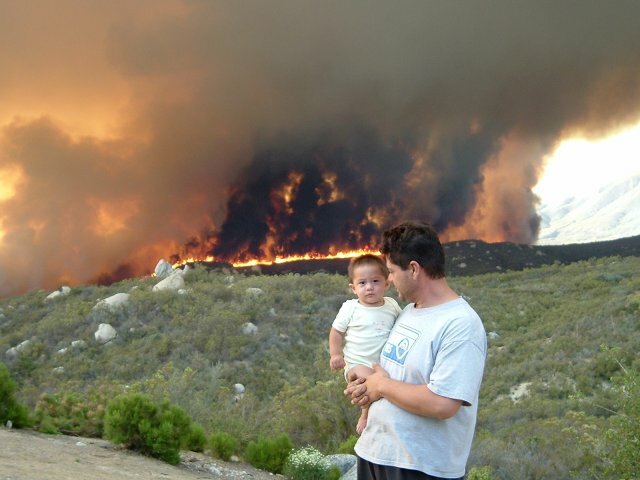 Browse a chronology of major Southwest Riverside County wildfires. The following photos were taken Saturday evening by Robert Leonard. The following photos were taken Saturday evening near Sage Road area by Michael Mojarro. The following photos were taken Monday morning by Robert Leonard. The Hemet weather pages are a service of WeatherCurrents. Hemet, California is located in the San Jacinto Valley, in western Riverside County, at the foot of the San Jacinto mountains.